This week Drake finally finished his 'The Boy Meets World Tour', Big Sean was handed the key to Detroit and and Beyonce sparked more rumours about her twins. 1. 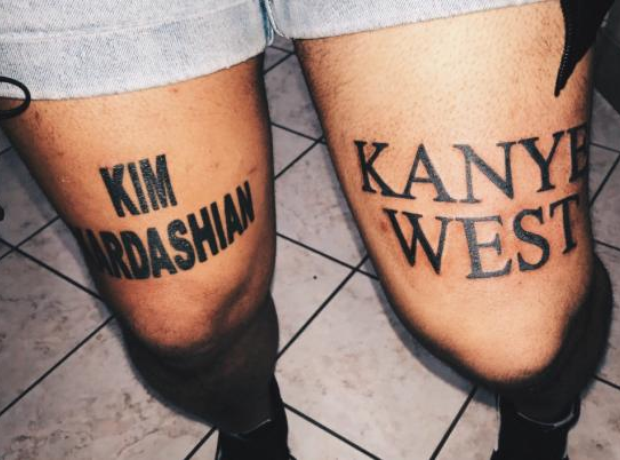 This dedicated fan got inked in honour of Kim Kardashian and Kanye West. 3. Young Thug made a guest appearance at the party. 4. Floyd reportedly spent six figures on his son's birthday bash. 5. Drake invested in a new diamond-encrusted owl chain. 6. The rapper had 'More' engraved onto the back of the 14 carat gold piece. 7. Kanye West has opted for a new shaved head look after his recent blonde hair. 10. DJ Khaled reached out to his fans for a lucrative trainer swap. 11. And Rick Ross celebrated the success of his new album with a relaxing yacht trip. 13. While Big Sean was officially handed the key to Detroit. 14. Chris Brown kicked off his 'Party' tour across the US. 15. Beyonce sparked fresh rumours about the gender of her twins. 16. Stormzy is currently enjoying the UK leg of his 'Gang Signs & Prayer' tour. 18. Tinashe showed off her incredible physique will soaking up some sun by the pool.